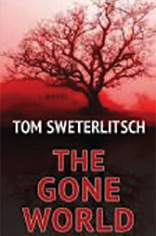 The Gone World by Tom Sweterlitsch. G. P. Putnam’s Sons, 2018. 388 pp. I am doing something I have never done before which is reviewing a book that I did not like. Andy Sauer recommended it to me. It is about time travel. A few years ago I recommended a book about time travel which he did not like. That was about someone going back in time to try to change the outcome of the Kennedy assassination. Trying to change the course of history never seems to work well. I don’t think he finished the book, and I did continue to labor through The Gone World to the bitter end. I am reviewing it because I think there are other people who might like it. It was just too complicated for me. FBI Special Agent Sharon Moss is the protagonist who goes back and forth in time from 2199 to 1997. She endures so much, both physical and mental pain. I can’t believe how she survives. She also ages when she goes to the future and stays older, so that she keeps getting closer and closer to her mother’s age when she returns. There are many more recurring characters and they also die, revive, are duplicated and all sorts of strange and complicated things. Although it generally is those two time periods, there are sometimes sort of slots they slip through which change the place they are in. Moss was going into the future to try to solve a murder and to find what happened to a member of the murdered family, but has disappeared. That starts a chain of events which to me became more and more confusing. 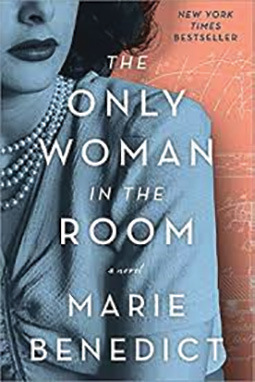 The Only Woman in the Room by Marie Benedict. Sourcebooks Inc.219. 251 pp. This is a novel based on the life of the person we remember as Hedy Lamarr. She was born in Vienna to Jewish parents and grew up as Hedy Kiesler, a beautiful young woman and an admired actress. The story begins in l933 as Hedy is taking a bow during the curtain call of a play in which she played the part of Empress Elizabeth, who was an adored emblem of the great Hapsburg Austria of the past. The audience was overwhelmed. Then, to her surprise, she receives many bouquets of roses from a man she had never met, Friedrich Mandl. He is a very powerful man in Austria and owns a large company that manufactures military weapons and munitions. It appears that Mandl has decided that Hedy will be his wife. Hedy is an only child, and her parents are agreeable to this as they believe he will be their protector. Hitler’s plan to take over Austria is a known fact and Mandl has influence. The marriage of Hedy and Friedrich is described as extravagant – they lived in a castle. But gradually Hedy becomes aware of the collusion between her husband and the Third Reich. She also learned much about how weapons worked and how they were made. Finally she leaves her husband and escapes to London. There she meets the head of MGM, and thus travels to Hollywood. Hedy’s life in Hollywood was a success. But what is told in this last section of the book is important and a surprise. There was much more to Hedy than her beauty and her skill as an actress. She had a very remarkable mind, and for that she should be remembered. – P.M.